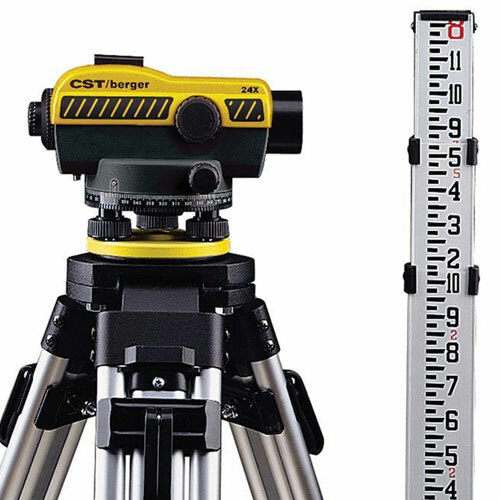 Upgrade to the latest features and technology with CST/Berger's SAL Series Auto Levels. These units now incorporate easy-to-grip styling and an improved compensator. 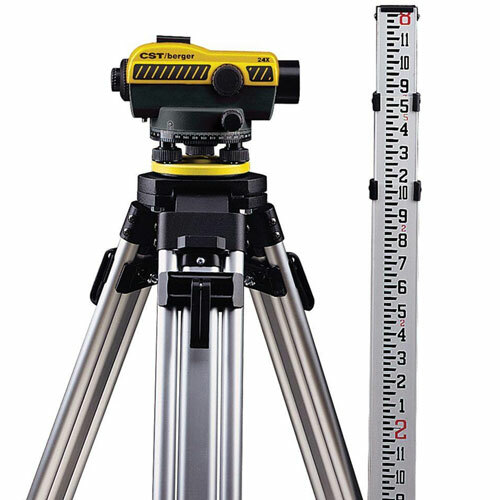 Automatic Level, Hardshell Carrying Case with Dual Latches, Plumb Bob, Allen Wrench, Adjusting Pin, Aluminum Rod 06-808C (8 Foot in Feet/Inches/8ths), Instruction Manual, and 60-ALQC20 Tripod.